We work to improve the general conditions for music life in Europe. Meet EMC Policy Advisor Katharina Weinert at the BAM Conference and get to know more about our activities! Discover the EMC activities and team in Bonn, where it is based, at the Europe Day organised every year. Meet EMC Policy Advisor Katharina Weinert at the EFNYO Annual Meeting. Meet EMC President Ian Smith at Classical Next and get to know more about our activities! REGISTER NOW: Showcase European Agenda for Music. You are invited to Warsaw from 12-13 June to share your stories, get inspired and discover what's up next! 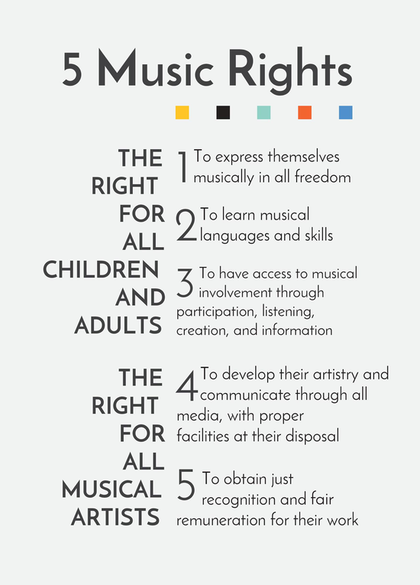 Join us at the 6th World Forum on Music on the Five Music Rights organised by the International Music Council (70 years Anniversary). Our STAMP Online Course created with Live DMA on International Cooperation and Networking is out! Make sure to be updated on the latest news. The EMC will provide you with the most relevant informations e.g. concerning EU policies or the latest updates on vocational training available. The eBulletin presents world-wide music news collected by the IMC in cooperation with its regional groups. Subscribe here! MusXchange: a musicians bootcamp organised! As part of their ongoing partnership, EMC members European Federation of National Youth Orchestras and Live Music Now Scotland got together in March to put on a ‘musicians bootcamp’ in Glasgow. Part of the EU Creative Europe funded MusXchange programme, which supports the next generation of European musicians, the 4 day long collaboration in Scotland involved 15 instrumentalists from 12 different countries learning and sharing the skills required of musicians working with audiences in the wider community, including older people with dementia and children with additional support needs.